Take a large bowl and sift in the flour and salt. If you have a food processor, pop the sifted flour into the food processor, add the butter and give it a spin until the butter is combined and you have what resembles breadcrumbs. Now add 4 tablespoons of water and give it a few pulses until you have the dough forming balls, if it is not forming balls add the rest of the water and pulse again. If you don’t have a food processor, add the butter and with fingertips press the butter into the flour until you have breadcrumbs. add the water and use a knife to cut through the mixture, turning the bowl until you get the balls. Now turn it onto a lightly floured board and bring it all together into a ball. Now wrap it in cling film and pop into the fridge while you make the filling. Take out the dough and divide into 6portions, roll out on a lightly floured surface to about 3mm in thickness and using a side plate (approx 16cm diameter), cut a circle. 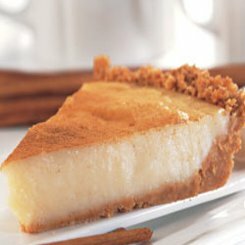 Place equal amounts of the filling into the center of each circle and then brush the edges with the lightly beaten egg. Now lift the edges and pinch together at the top, working your way down to the bottom and place onto a lighly buttered and floured baking tray. Give each one a brush with the remaining egg and pop into the oven, close the door and turn the oven to 180 Celsius. Bake for 20 minutes and your cornish pasties are done. It’s really not that difficult and so worth it, give them a try. 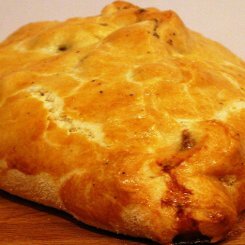 If you have leeks/peas or anything else you want to put into the pasties, give it a go, make them to your own taste. 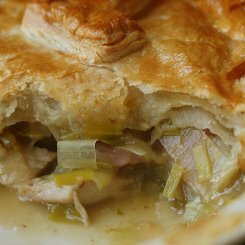 Try the Chicken pie for another easy pie recipe and never forget a winter favourite dessert, hot chocolate and banana pudding. 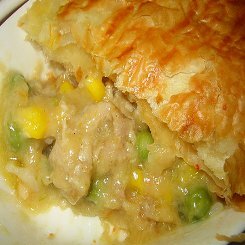 This is a fantastic Chicken Pie recipe that is very easy to make and thanks to frozen puff pastry takes only minutes to prepare. 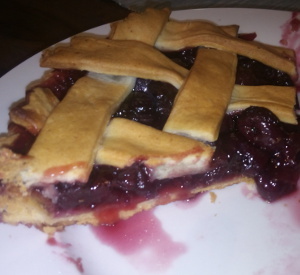 It makes a large pie that can feed about 6 people but tastes so good, 4 hungry people will devour it in no time. There is something so good about the smell of pastry baking in the oven and your family will be at the door asking when it will be ready. 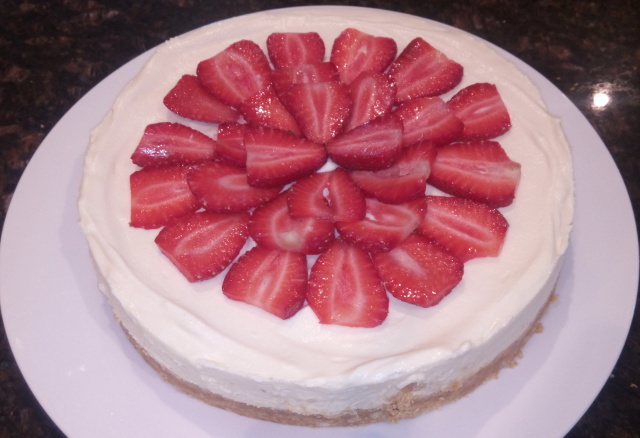 Before you start this recipe, pop your frozen pastry in the fridge for about 2 hours to thaw. It is best to thaw it out in the freezer than on the counter or microwave, just seems to stay intact better. Melt 1 tablespoon of butter in a pan on a medium heat and fry the onions until they are soft, add the mushrooms and fry for about another 3 minutes stirring occasionally. Now add the corn, frozen peas and chicken and cook for a few minutes to mix in all of the ingredients. Remove from the heat and set aside. In another pot, melt 2 tablespoons of butter and add the flour. Stir or whisk well to cook the flour a little, be careful not to burn it, you want it to be better yellow not brown. Now remove it from the heat and add the chicken stock in a slow stream, whisk very well while adding the stock until all of the flour is mixed in and you have no lumps. Pop it back on the stove and bring to the boil while you stir continuously, then reduce the heat to low, add the cream and stir until you feel it starting to thicken up. Remove from the heat, toss in the chicken mixture and give it a good mix. 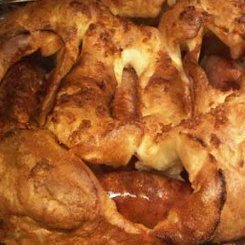 Pour the mixture into a casserole dish that is about 20cm x 20cm x 10cm or a shallower one that is about 30cm x 20cm x 6cm and then place the pastry over the top. Tuck it in and fold any overlaps back onto the top. Cut 2 x 4cm slits in the pastry, wash the top with the beaten egg and place in a 180 Celsius oven for about 30 mins or until the pastry is crisp and browned. It’s a fantastic meal folks, try it. Take a look at the other easy chicken recipes. Chicken pies are just great and this recipe is for 6 small pies or about 20 ramekin sized pies which are excellent for a snack instead of the usual snack types. Just load them onto a tray with teaspoons and believe me your guests will love them. I had similar little pies at the opening of a shop earlier this month and they were a real hit. You could also try a mini version of chicken lasagna for a change. In a large pot on a medium to high heat, heat the stock, add the onion, peppercorns, mixed spice and cloves. Pop in the chicken and allow to simmer for about 40 minutes. You want the stock to be bubbling slowly, so adjust the heat down if it is boiling. Remove the chicken and allow to cool until you can handle it with your hands. Leave the stock on the stove and allow it to continue simmering until it has reduced by about half. Now peel off the skin and remove as much meat as you can, making sure there are no bones or cartilage in your pie of chicken meat. Toss out the bones and the skin and break up the meat into morsel size pieces. Fry the bacon pieces in medium until well cooked, remove and set aside. Add your mushrooms to the simmering stock and leave to simmer for about 5 minutes until soft. remove from the heat, get a whisk add the egg yolks and whisk fast until the mixture turns creamy and thickens. Add the lemon juice, stir, taste and season a little with salt and pepper. 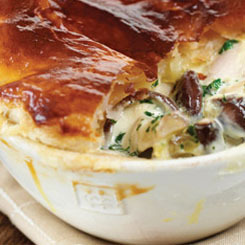 Now add the chicken, parsley and the bacon to the creamy mushroom sauce and mix to combine everything. Cover and allow the mixture to cool. Take 6 small ovenproof bowls of about 6cm deep and 10cm diameter, butter them lightly and share the mixture evenly between them. If you are using ramekins fill them to 3/4 full. Now place a piece of pastry over the top of each bowl, brush with a mixture of egg and milk, pierce the center with a knife and place in a 200 Celsius oven for 15 to 20 minutes until the pastry is beautifully browned. You are going to love these folks. 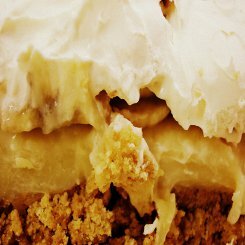 Try some of the other festive recipes. Boil some water in a pot and toss in the spinach, allow to soften slightly, this will take about 1 minute. Drain into a colander. When it is cool enough to handle, squeeze out excess water and place in a bowl. Loosen it up a bit ready for the potato bake construction. Mix together the cream, mustard and garlic. Lightly butter a 19 or 23cm casserole dish and make a layer of potato on the base. This should use about 1/3 of the potatoes. Top with 1/3 of the spinach and 1/3 of the cream mixture. Repeat 3 times. Cover you dish with aluminium foil and place in a 170 Celsius oven for 1 hour. Then take of the aluminium foil and bake for another 30 minutes. The top should now be a caramel brown colour. 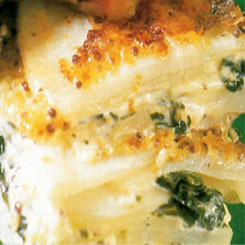 It’s a no hassle and almost impossible to go wrong recipe that will add something special to any meal.